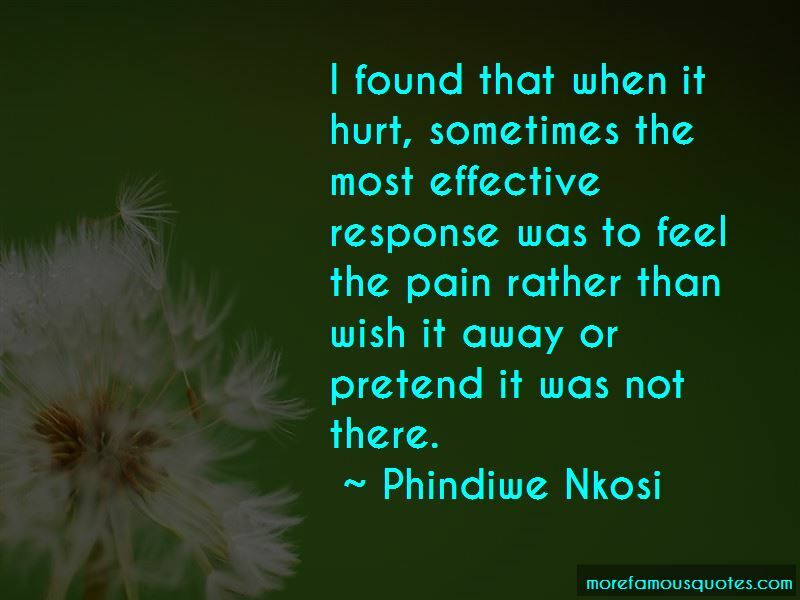 Enjoy the top 17 famous quotes, sayings and quotations by Phindiwe Nkosi. Instead of hating, my heart cries mercy! Mercy on me! Mercy on me! Mercy on me! 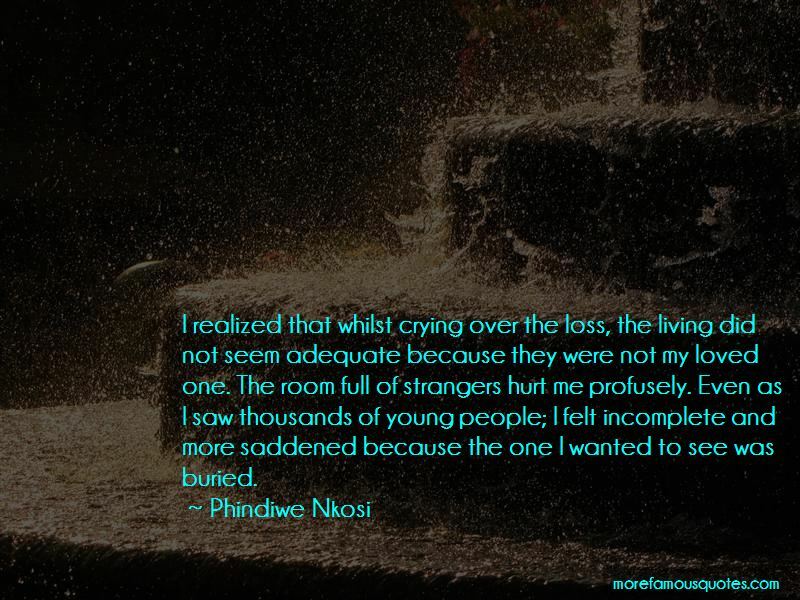 I realized that whilst crying over the loss, the living did not seem adequate because they were not my loved one. The room full of strangers hurt me profusely. Even as I saw thousands of young people; I felt incomplete and more saddened because the one I wanted to see was buried. confirmation I could sense that something had gone terribly wrong. 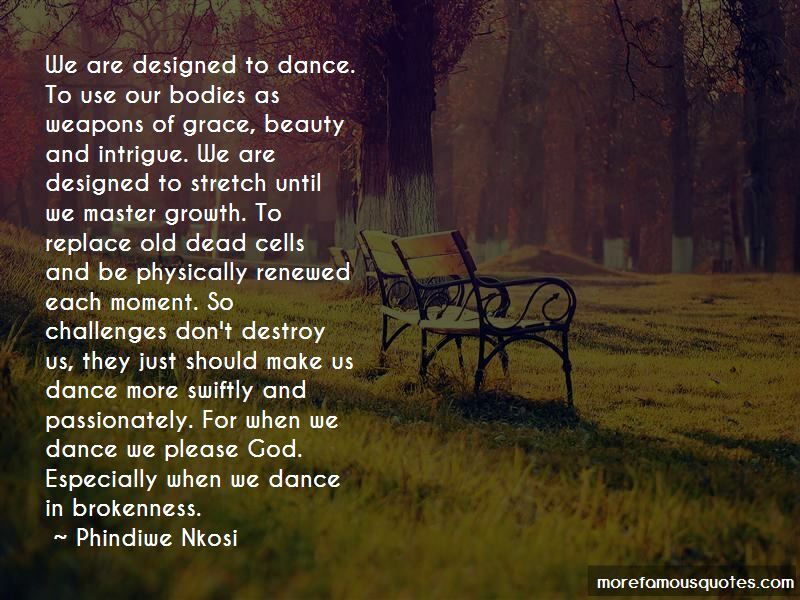 Want to see more pictures of Phindiwe Nkosi quotes? 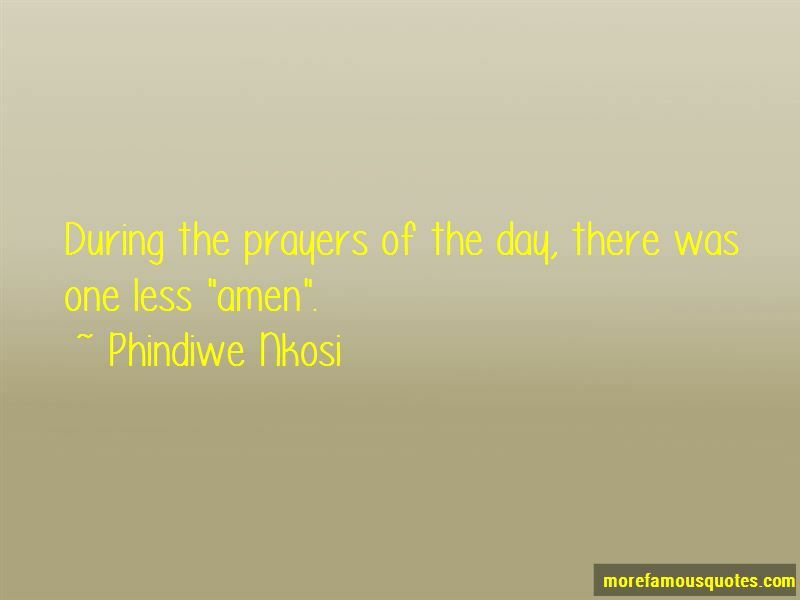 Click on image of Phindiwe Nkosi quotes to view full size.